The National Safety Council estimates that one in every five car accidents actually take place in parking lots or garages. That’s an astounding number, considering that over 60,000 people are also injured in those accidents; some of the fatally. What can be done about it? More importantly, how can you protect your car from parking lot accidents? What Can You Do To Protect Your Car? If it sounds like total mayhem in the parking lots of the world, that’s because it can be. But many people go their whole lives without a parking lot accident. You can, too. Here’s how. 1. Park next to the shopping cart rack. When you do this, one entire side of your car is protected against things ramming into it. If there are no spots next to the shopping cart rack, park next to a tree in the lot. 2. Use your backup camera. New car models are equipped with backup cameras. Use this all the time to avoid backing into pedestrians and other cars. 3. Notice other pedestrians when you’re returning to your car. Especially be on the lookout for small children, and note where they are when you start to pull out of your space. Being aware of the pedestrian traffic around you will help you to avoid accidents. 4. Follow the directional arrows. Avoid going against the traffic, even in a nearly empty parking lot. Drivers that are backing out won’t think to look in the opposite direction and they may back right into you as you drive past. 5. Don’t cut across lanes horizontally. This is akin to driving through a busy intersection against the lights and hoping no one’s coming. It’s one of the most frequent causes of parking lot accidents. 6. Park under the light pole at night. Your car is more visible here which minimizes the odds that someone will hit it. So there you have it; all the ways you can protect your car in parking lots. If you just do these simple things, chances are you won’t become a part of those statistics. The appearance of your car’s body is one major factor that affects its overall value, so if the paint is chipping, peeling, or otherwise not looking good, it can be a major concern. As obvious as a problem like peeling paint may be, it is a problem that sometimes leaves an owner scratching their head, wondering how in the world this problem started. 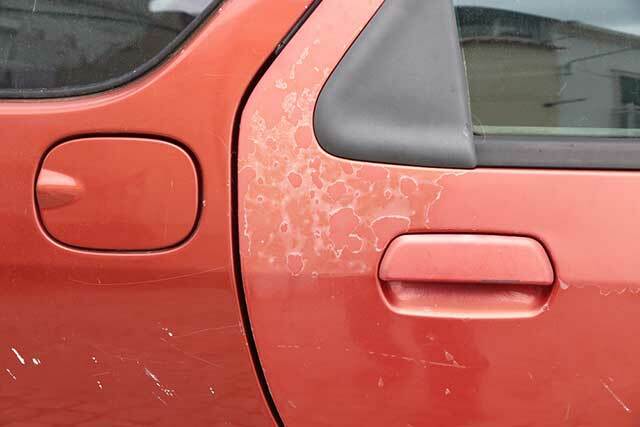 Take a look at some of the usual culprits that are to blame for peeling paint on the exterior of a vehicle. There are a lot of things in the environment that can cause problems with your car paint. From rain and snow to road dust and wind, things that can damage your car’s paint are lurking everywhere. Parking under a tree where leaves and berries will fall onto it, your car being exposed to bird droppings, and even something as simple as a splattered bug can cause problems. Everything that you find in the store that can be used to clean your car’s exterior is not always the safest bed. A lot of low-quality car wash supplies have chemicals in them that are capable of breaking down a car’s paint over time. Therefore, even if you think you are doing something good by washing your vehicle, you could be damaging the paint by using the wrong product. Stick with higher quality car soaps and detergents that are safe enough to use. Car paint expands with higher temperatures, but it also contracts in colder temperatures. If you spend a lot of time traveling between the variant temperatures, it could very well have an effect on your paint job. Over time, the expansion and contraction of the painted layers can cause it to start peeling or cracking. Paints that are used on some vehicles are not as resilient as they could be. A lot of auto manufacturers have been forced to switch over to more eco-friendly paint product choices, which is good for the environment. On the downside, however, some of these paints break down faster than other types. 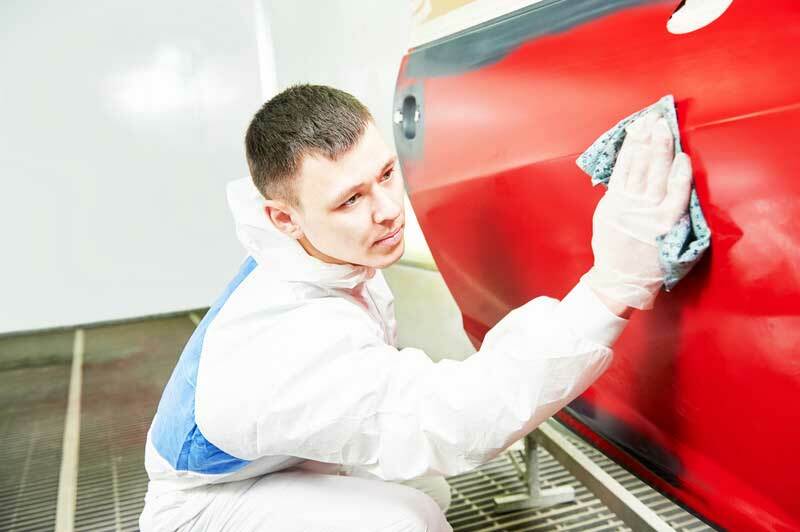 If you have had an accident in recent months and maybe even had some auto body repair, paint problems can show up later on. This is especially the case if you had a dent that was pulled out during repairs. When a painted surface is moved and manipulated, it can compromise the quality of the paint itself even if the underlying surface is back as good as new. Protecting the value of your car is all about protecting its outer appearance. If you see problems with your car’s paint, whether it is fading, chipping, peeling, or otherwise, reach out to a professional for advice. Insurance or Own Cash to Pay for Auto Body Repair Work on My Car? If you’ve been in a car accident, your first goal should always be to ensure you and any other driver are safe. You’ll need to file a police report to document the incident. If you have auto insurance, you may be able to file a claim for coverage for damage to your vehicle. Should you do so? Can you fix your car on your own? Do you legally have to fix the car with the insurance money you receive? Let’s take a closer look at these areas of concern. Do You Have to File an Auto Insurance Claim? In some situations, you may not want to file an auto insurance claim. You may not be legally required to do so. If you are in any type of moving violation, your insurance company will learn about it down the road, due to your driver’s history. However, it is not likely that you’ll be forced to file an insurance claim for the damage. That means that if you do not want to have the auto insurance company pay for the repairs on your car, you do not have to. For example, perhaps you’ve struck a tree backing up. You may not want to file a claim with your comprehensive auto insurance as this could cause your rates to rise. You can make the repairs on your own and not have to worry about the process, though. If You File a Claim, Can You Use the Funds for Anything? Let’s say the damage is significant and you want to file an auto insurance claim to get some help paying for the damage repairs. If you have the right type of auto insurance, you can file a claim. Your ability to do this depends on the type of car insurance you have as well as the cause of the accident. 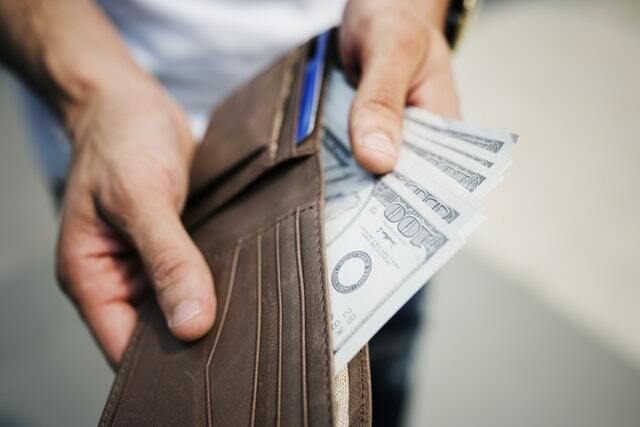 If you file a claim for the damage, do you have to use the funds to make the repair? If you have a car loan on the vehicle and are still making payments on it, then you may be required to make the repairs to the vehicle. Your lender wants to make sure the vehicle stays in good condition so that its value is maintained. If there is no loan and you are the only party listed on the vehicle’s title as an owner, you may have the option of using the funds to repair your vehicle or not. For example, if the damage is significant, the lender may write you a check for the value of the vehicle before the accident. You can decide to get the repairs done or use the funds to buy a new car. Keep in mind that every insurance company has specific restrictions in their policy regarding claims. It is up to you, then, to make sure you are following these rules when it comes time to file a claim for coverage. Most often, your auto insurance agent can help you make this decision. Discuss your options with them. Were you recently in a car accident? The aftermath of an accident can take a toll on you. You might be dealing with medical issues, worrying about how your gonna get your car fixed among other things. To add to the stress, there are a lot of auto body repair myths out there. These myths can end up costing you more time and money. To help you get through the repair process quickly and easily, we will bust the most common auto body repair myths. Most insurance companies have a “network” of repair shops that they recommend to customers. The insurance company might tell you that you’ll get better service by choosing the repair shop that they recommend. However, this is not always true. You have the right — by law — to select the repair shop that you want. Choosing the repair shop that is recommended by the insurance company benefits the insurance company, as they have typically negotiated cheaper material, labor and parts rates with these shops. However, the repair shop recommended by the insurance company might not be the best one for your needs. You should select a repair shop that you know and trust. 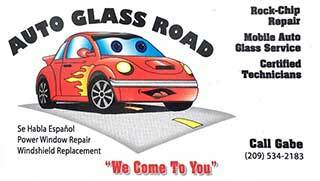 All reputable auto body repair shops provide a lifetime warranty on workmanship. They should also be able to complete the estimate process and repairs quickly and using high-quality parts. Before you take your car into a collision center or repair shop for an estimate, the insurance company will do an assessment of their own. This is a quick process and only gives a general idea of how much the repairs should cost. It is not set in stone. So, it is not uncommon for a repair shop to find additional damage that is not on the original estimate. That is because they do a more thorough check of your vehicle’s damage. If the auto body shop finds additional damage, they will contact the insurance company to obtain authorization for supplemental damages. Most of the time, the insurance company will pay. Auto insurance companies often recommend that you get three estimates. However, that is just a suggestion. You can get as many estimates as you’d like. The important thing is to select an auto repair shop that has a good reputation, can give you references and provides a written estimate before starting any work. The insurance company will only pay the value of the car. If the repair work costs more than the value of the vehicle, you will have to pay the difference out of pocket. The title of the vehicle has to be declared “Salvage” by the Department of Motor Vehicles in your state. Your car will have to be re-inspected before it is allowed back on the road. Contact your local DMV for more information about salvage titles. 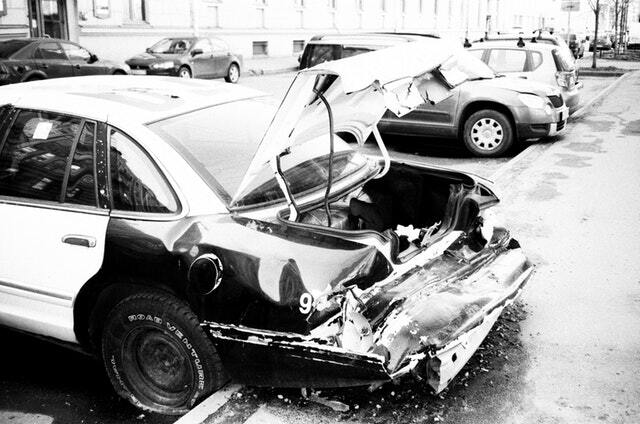 Whether or not you should have your totaled vehicle repaired depends on the extent of the damages and other factors. The best thing to do in this case is to contact a reputable auto repair shop to determine if the automobile can be repaired. If your car was recently damaged in an accident, the first thing you’ll want to do is take it to an auto body repair shop to get it fixed. Your insurance company may have a recommended shop or you may have an auto body shop you prefer; the choice is up to you. The question then becomes, “how do you find an auto body repair shop that you can trust, that is reliable and will have your vehicle back to you promptly?” In order to find a reliable and reputable auto body shop, we recommend that you take your time and really do your research. You can receive high-quality auto body repair work for your vehicle if you do your due diligence on the auto body repair shop first. What are some questions and things to consider before selecting an auto body repair shop for your vehicle? People love leaving reviews about their experiences with a business on review websites such as Yelp and Google reviews. While people’s experiences are subjective, most people provide an honest review of their customer experience. Be sure to read the positive reviews and the negative reviews. There is a tendency is to focus on negative reviews, however, make a conscious effort to focus on what people appreciated about their experience. A good auto body repair shop will have more positive feedback than negative. What you are looking for is an overall grade of 4 to 5 stars. Pay particular attention to the details of the reviews you read. Also, see if the auto body repair shop owner responded to any reviews. This will tell you how closely the shop engages with their customer. Once you have selected a shop, it’s now time to talk to them about their process and the kind of service you can expect. Check with your insurance company about the provision of a rental car while your vehicle is being repaired. If your insurance policy does not cover getting a rental car, then ask the Auto body repair shop if they provide rental or loaner vehicles while yours is being repaired. Some auto body repair shops have co-operative agreements with a car rental company located in or near their shop. Sometimes, you can receive special discounted rates on the rental vehicle if the referral is coming from the auto body repair Shop. Ask How long the Auto Body Repair will Take? Is Your Vehicle Covered By Insurance while being repaired? Most auto body repair shops carry insurance to protect the business and it typically covers everything within the shop. Verify for yourself that the auto body repair shop has insurance that would cover your vehicle should additional damage be incurred in the course of repairing the vehicle. Sometimes, a technician will need to drive your vehicle and you’ll want to know that they are covered in the event of an accident. Also, check if their insurance covers fire and theft. This way you will know you are covered if your car is stolen, burglarized or destroyed. Ask how close to pre-accident condition will your car be after the repair? Depending on the extent of the damage to your vehicle from the accident, a good auto body repair shop can restore your vehicle to almost pre-accident condition. Be sure to ask about how your vehicle will look once repaired so that you have the right expectations when it’s time to pick up the vehicle. Ask questions about matching paints to the original color of your car and how smooth any dent repair will be. Be sure to inspect your vehicle thoroughly before and after pickup.